Lavender is one of the most well known herbs due to its distinctive fragrance and its many uses. There are also countless varieties of lavender plants and they can be grown in a few different ways. 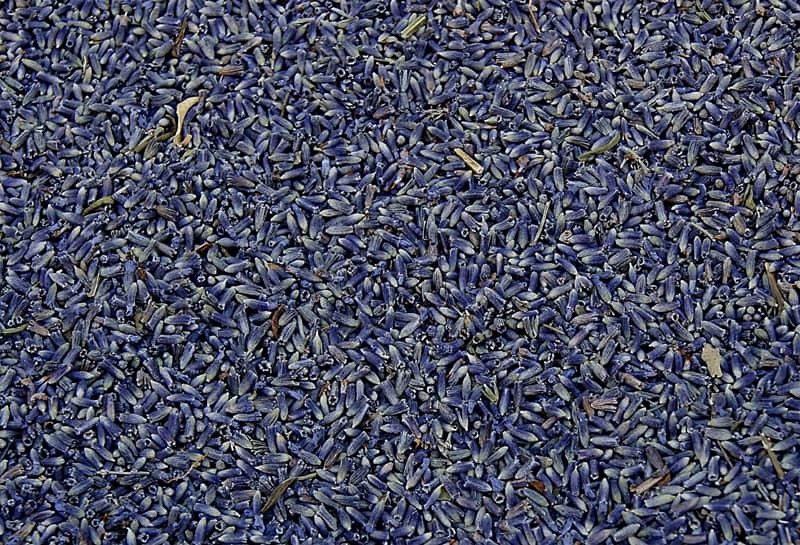 Don’t be intimidated: learning how to grow lavender plants is easy and fun. 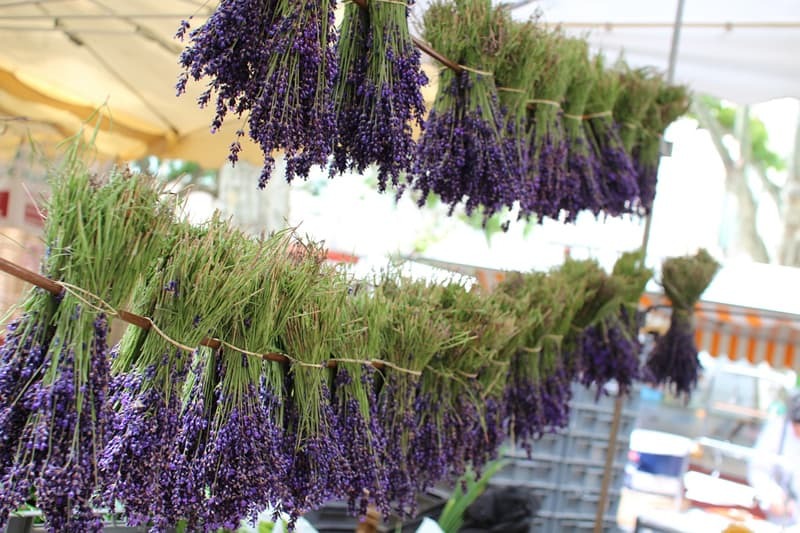 Here is a brief introduction to lavender plants and how to care for them so that they will flourish and bring both scent and color to your house and garden. 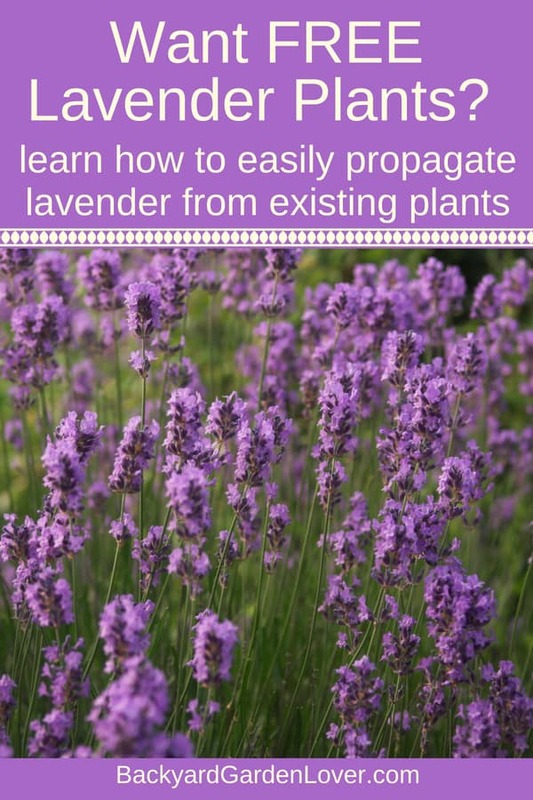 Oh, and lavender is one of the easiest plants to care for. Here are many more plants every gardener should grow. Chances are good that when you picture Lavender plants, you are thinking of the traditional English types. Within this category, you will find Vera, Munstead, Hidcote, and Jean Davis varieties, among others. These plants flourish in low humidity zones and bloom from mid spring to early summer. 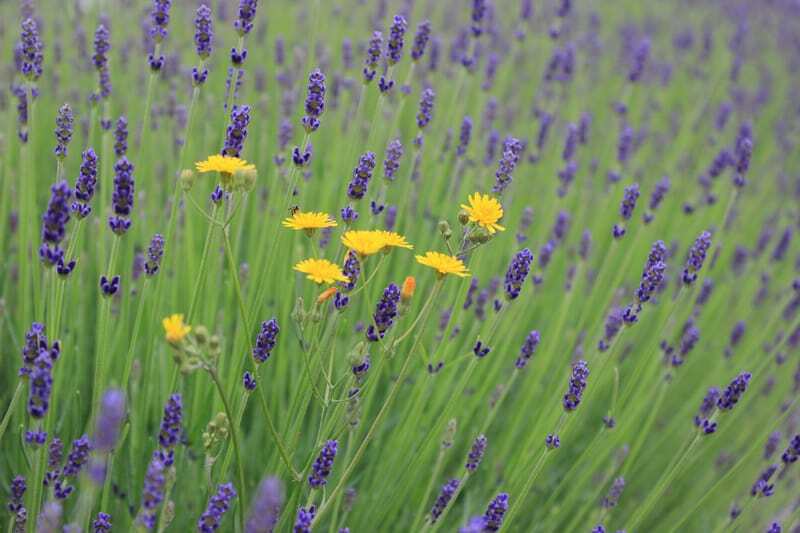 Non-English Lavenders include Yellow, Spanish, French, and other species that bloom in early spring. Their flowers are larger and more densely clustered on the stem than the English Lavenders. Lavandins, or English Lavender hybrids, are literal late bloomers and begin to flower at the start of the summer months. Provence and Grosso are the most popular of the Lavandins and are commonly grown for drying or scented oil extraction purposes. 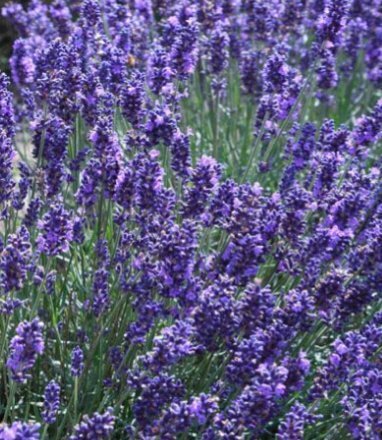 Lavender plants can be grown from cuttings that are taken from established plants and then potted. Use a bit of rooting hormone (this is the one I use) before you stick the cut stem into the pot. You can get free plants from neighbors, friends, and relatives who have Lavender in their yards that they are willing to share with you. Growing lavender from seeds is not nearly as easy as starting plants from cuttings. First of all it’s a challenge to find the seeds of certain varieties and the germination rate is fairly low. There is also the fact that with cuttings, you know exactly what the resulting plant will look like, down to the leaf size and what shade of purple the flowers will be when it blooms. Seeds are more of an unknown entity, with the possibility for crosses and varying shades within a single seed packet. 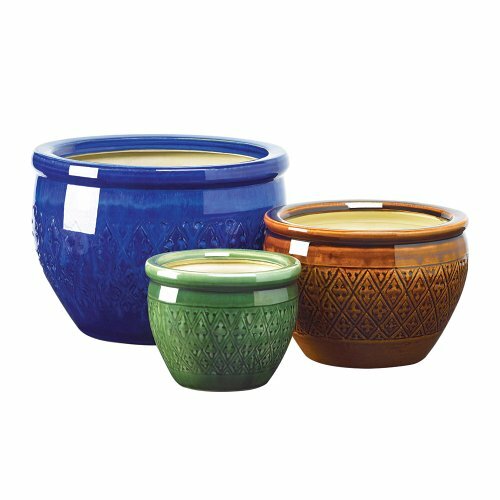 Gifts & Decor Jewel Tone Flower Pot Trio Embossed Earthenware Planter There are several important environmental factors that must be taken into consideration when you decide where to plant your lavender. 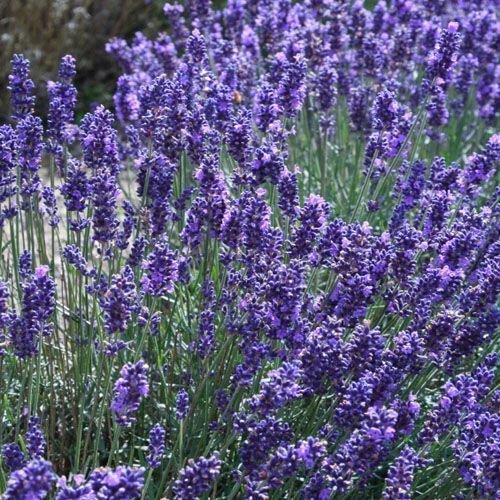 Plant lavender in a warm location with good air circulation and well drained soil. The beds or pots must be properly drained, with no lingering dampness or a tendency to turn to mud during a good rain shower. 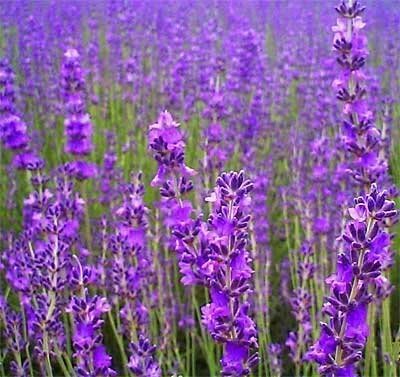 Lavender plants also require a good pH balanced soil, with a number between 6.5 and 7.5 being the ideal. Once you are ready to plant your cuttings, be sure that the area is clear of weeds and that you have put out compost if you are planning on using any. Fertilizer is not necessary, particularly if you continue to use compost around your plants. 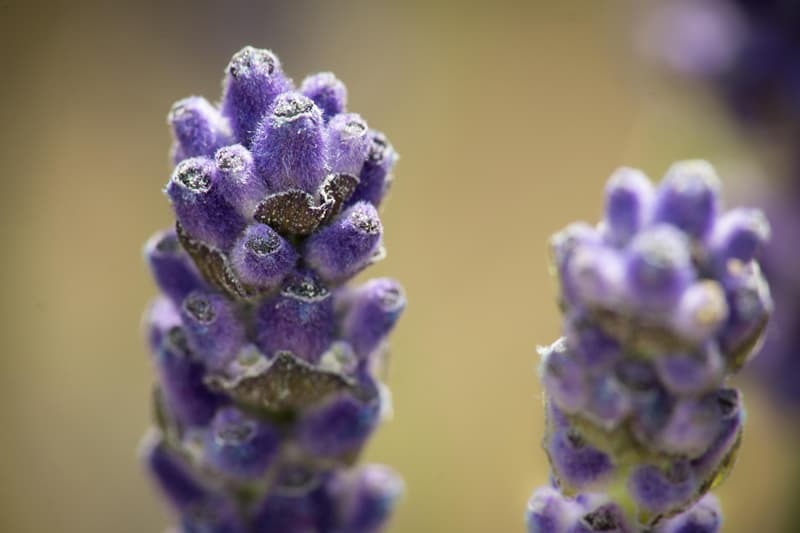 It is also extremely important to not over water your Lavender, as excessive amounts of moisture from humidity or over watering will cause the plants to die. To avoid this, let the plants dry out a bit between waterings without allowing them to become parched. Thanks to their lovely fragrance and appearance, lavender plants can be a mainstay in nearly any garden. 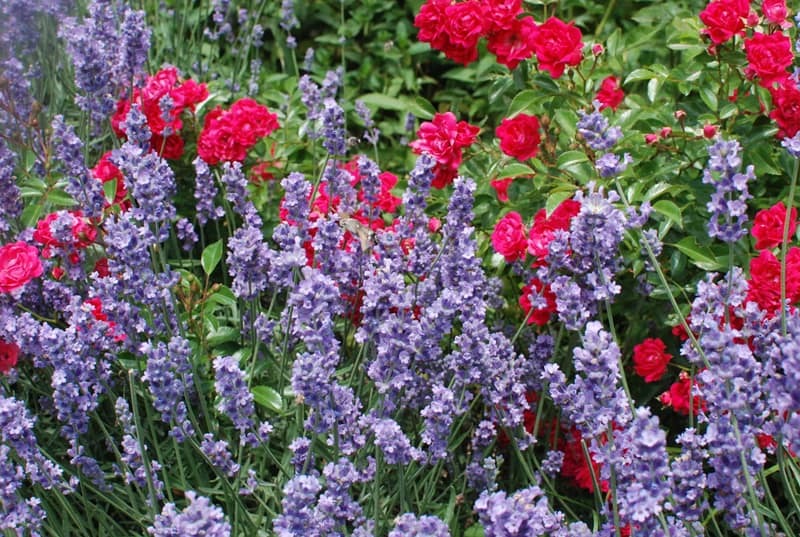 Herb gardens without lavender are missing out. 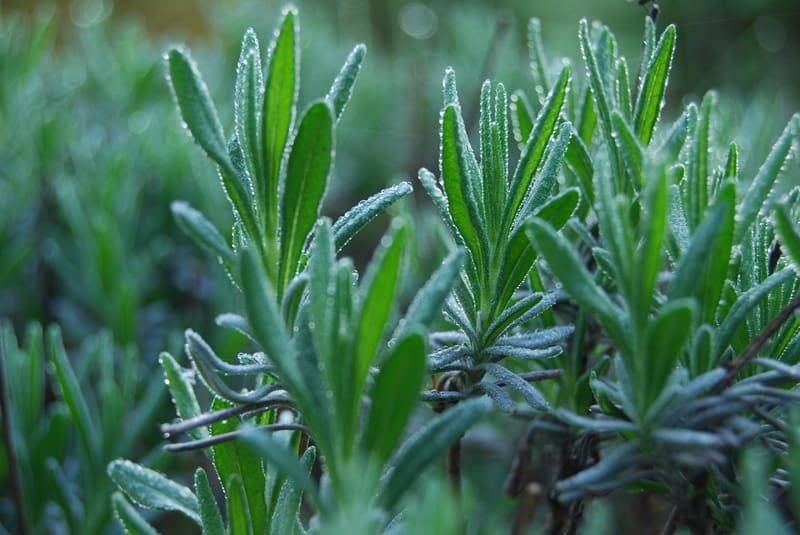 As long as you select cuttings from healthy plants, sow them in a well drained, pH balanced location and keep them carefully watered, you will end up with a flourishing crop of Lavender every spring or summer. Beautiful patch of lavender accented by bright yellow flowers: what a pleasure to look at! Close up of lavender buds, ready to bloom. Lavender plant early in the spring, before blooming: quite beautiful even before showing off its flowers. 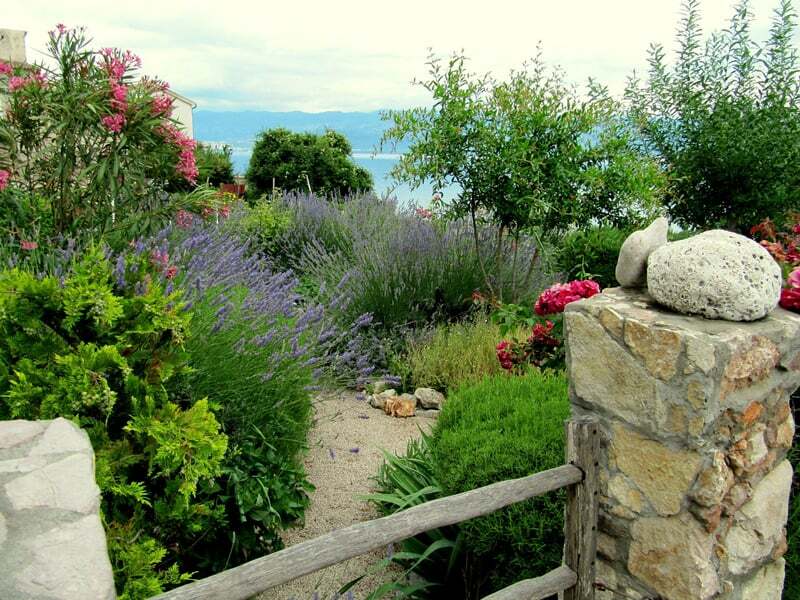 Here’s a nice Mediterranean garden, where the path is lined with lots of lavender plants, and other beautiful flowers. 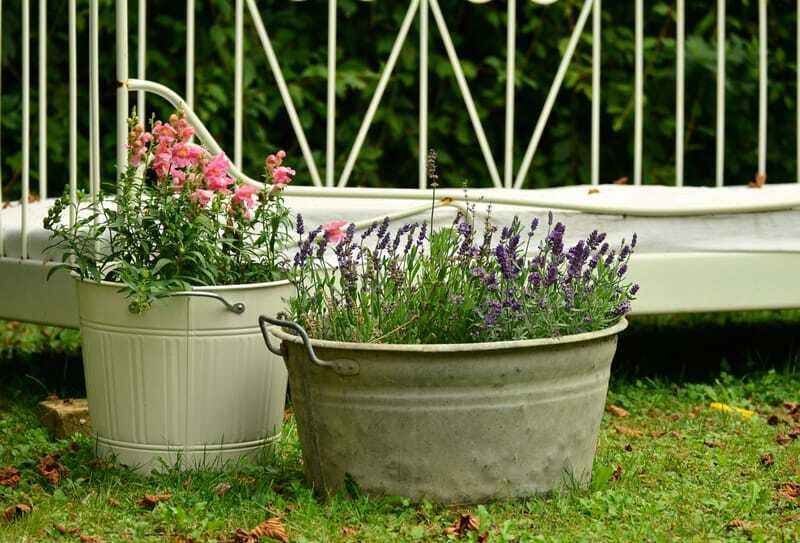 Move potted lavender plants wherever you need a bit of cheer and a burst of fragrance. Just find a container you like, add some potting mix and your lavender plug or transplant. I love seeing lavender in pots on porches and in front of the main door. GORGEOUS mix of summer flowers: these roses mixed in with lavender flowers are pretty to look at and great to smell too. Make sure you harvest some flowers to dry: hang them upside down in a dry breezy place and enjoy dry lavender for all kinds of fun projects. This is such a pretty sight to see! Love this! I can practically smell the lavender through the computer!!! 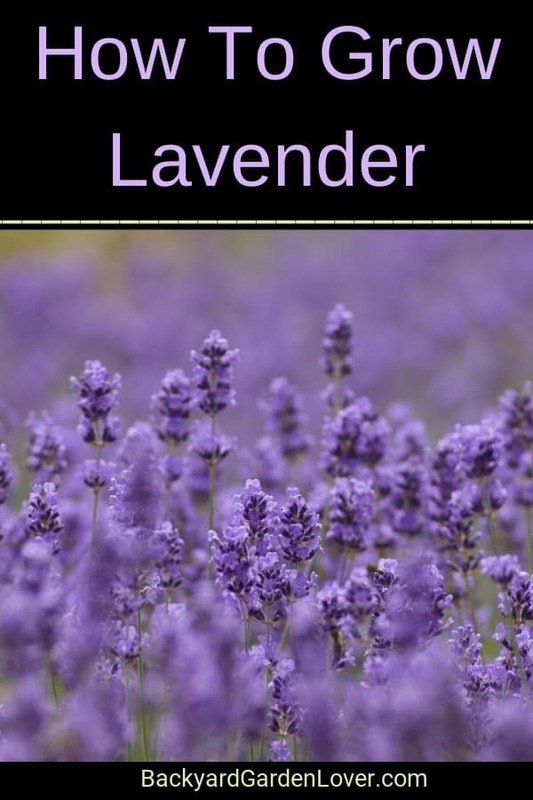 I love lavender and plant it yearly, We have many cycles of freeze and thaw that are very hard on my lavender plants, so I just grow new ones every year. It’s a small price to pay for the lovely scents I enjoy so much. 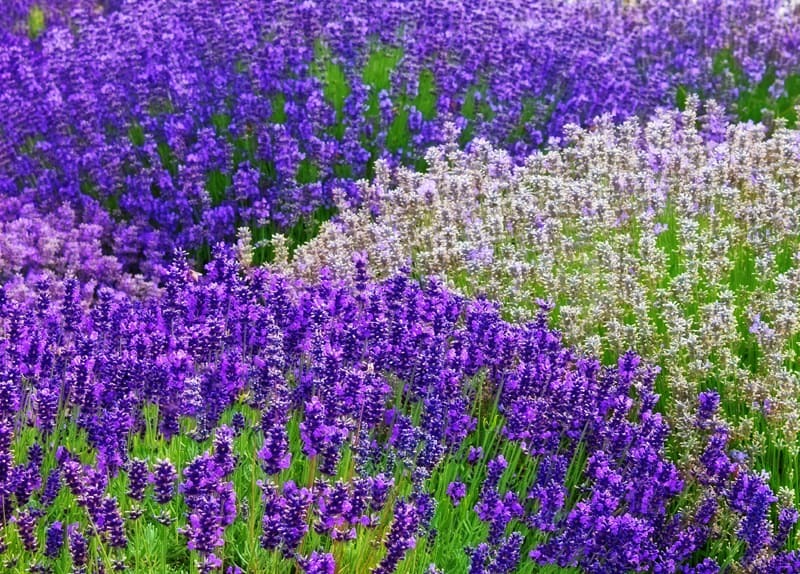 Does Lavender prefer full sun, partial sun or shaded areas? Thank you. Lavender needs full sun. I’ve tried a spot once with only afternoon sun and they did not grow much. The others were in full sun all day and they flourished. Can lavender be grown inside? How much sun does it need? No it cannot be grown inside well. Lavender needs full sun.